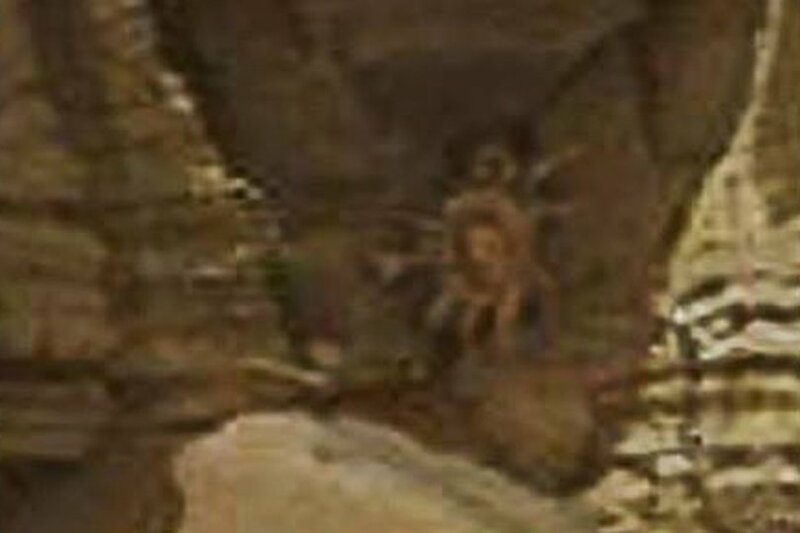 Social media users this week have been fawning over an alleged “crab” monster found on a picture taken on the surface of Mars. The photo was snapped by the NASA Curiosity rover in July. It was later posted on Facebook group Journey to the Surface of the Mars. Some users claimed it is a crab or a “facehugger” creature from the “Alien” movie franchise. But one expert with the Center for SETI Research says he gets photos like this one about once per week. 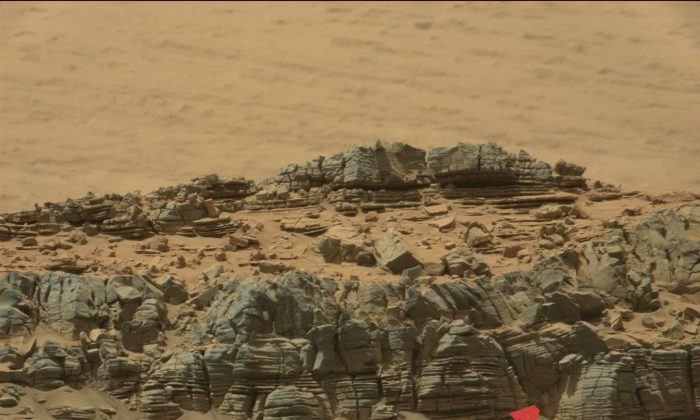 “Those that send them to me are generally quite excited, as they claim that these frequently resemble SOMETHING you wouldn’t expect to find on the rusty, dusty surface of the Red Planet,” Seth Shostak told the Huffington Post via email on Monday. Shostak cited the phenomenon known as pareidolia, which is the brain’s ability to recognize shapes, including faces, in random objects. It includes seeing animals in clouds, seeing faces in random objects, or the Rorschach ink blot test. 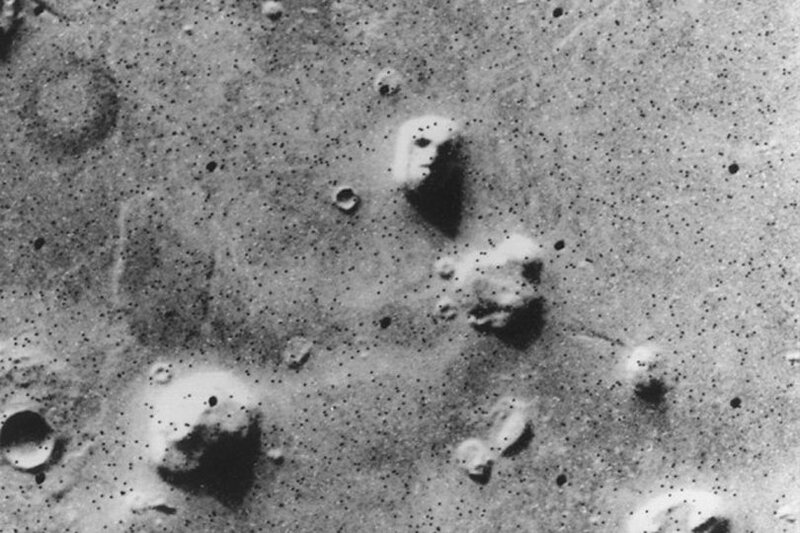 And while most people have never heard of pareidolia, just about everyone has experienced it. Dr. Nouchine Hadjikhani of Harvard University told the BBC in a report in May 2013 that our brains are wired to detect faces from birth. “If you take a baby just after a few minutes of life, he will direct his attention toward something that has the general features of a face versus something that has the same elements but in a random order,” she said. Christopher French of the British Psychological Society added that the trait goes back to the first humans. “A classic example is the Stone Age guy standing there, scratching his beard, wondering whether that rustling in the bushes really is a sabre-toothed tiger. You’re much more likely to survive if you assume it’s a sabre-toothed tiger and get the hell out of there – otherwise you may end up as lunch,” he explained. Researchers have used satellite data to detect deposits of glass within impact craters on Mars.